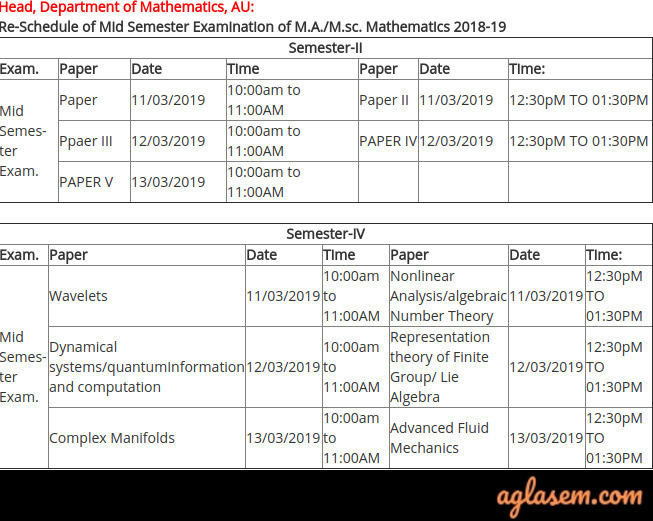 Allahabad University Time Table Dec / Jan 2018 – 2019 has been released. Students can check the University of Allahabad Annual / Semester Exam Time Table from this page. The timetable is also available at the University Centre / Institute. 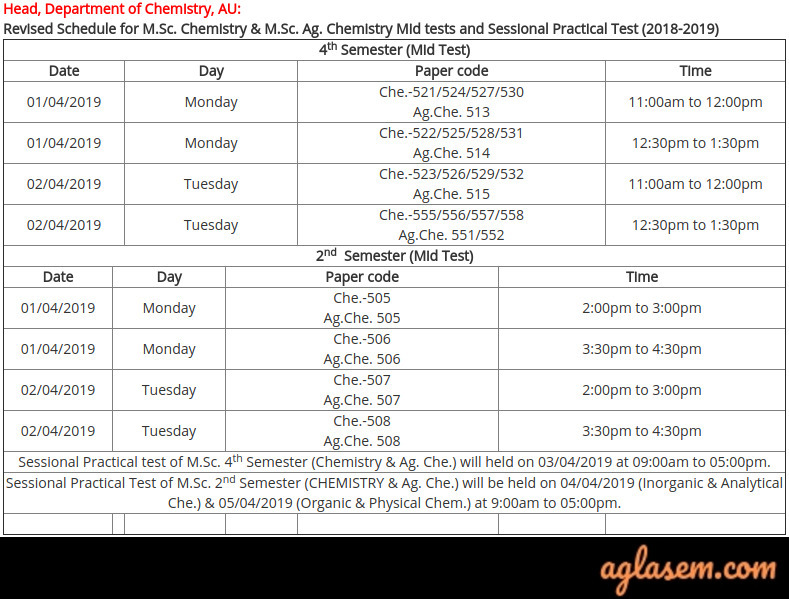 The exam date, time, course name, and course code can be checked in Allahabad University Time Table. The University semester exams are being conducted. 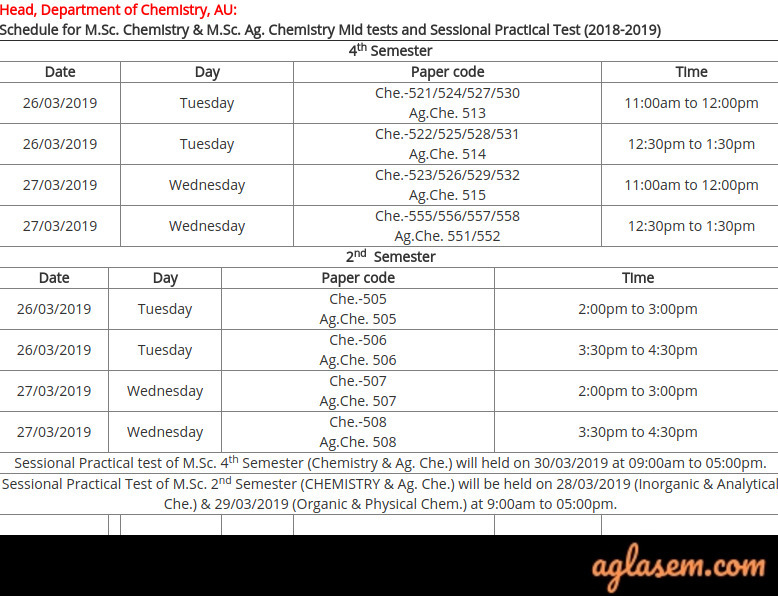 The annual examination for UG classes Part 1, 2, 3 will start from March 08, 2019. The annual mode exam will be conducted in two shift morning and evening. The exam timing for the morning shift is 07 to 10 AM and the evening shift exam timing is 02:30 to 05:30 PM. Candidates have to submit the exam form and fees to write the exam. Also, submit the completed assignment on or before the last date. The Admit Card to appear in the exam is issued by the controller of the examination. Students can use the exam Time Table for the preparation of examination. Students can also visit their respective department for any updates on the exam Time Table. To check the Allahabad University Time Table online follow the steps mentioned below. Check the table for Allahabad University Time Table 2018. 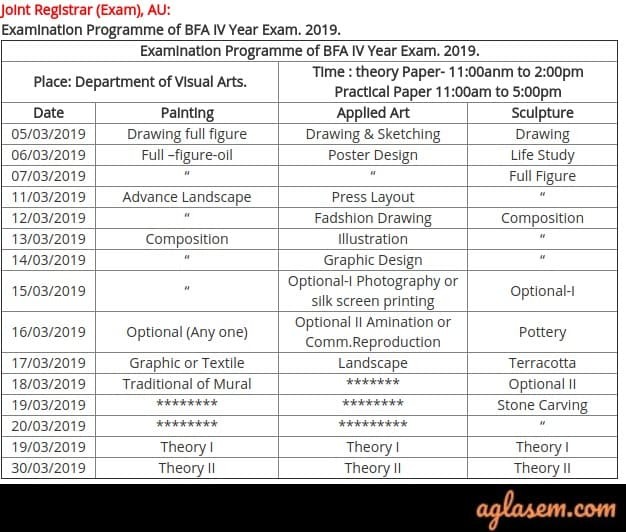 UG Examination – 2019 Evening Shift Click Here 02:30 to 05:30 P.M. 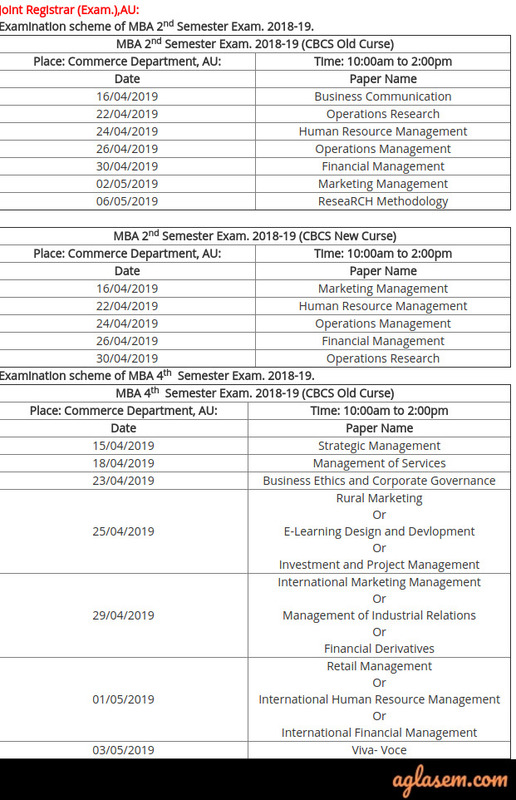 Schedule of B.Sc. 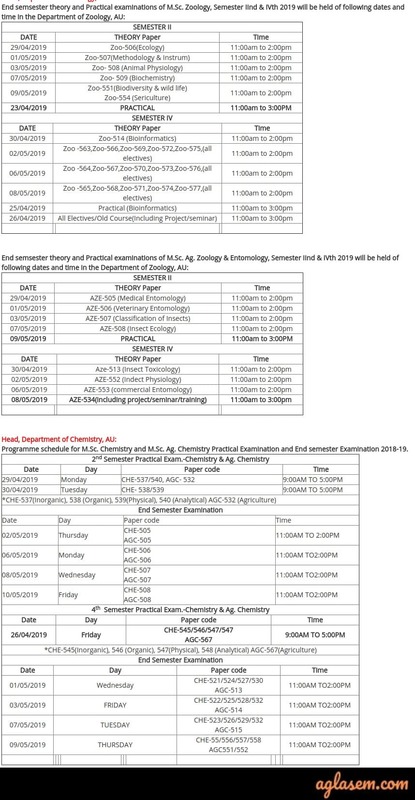 Chemistry Practical Examination 2019 at University Centre. The undergraduate (B.Sc.) 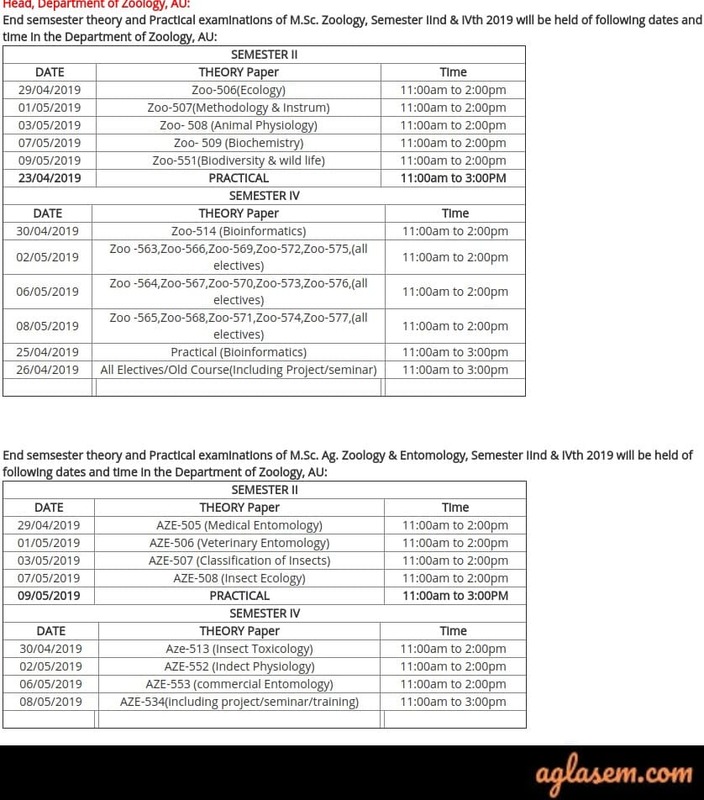 Zoology Practical Examinations 2018-19 at AU Centre will be held as per schedule is given below. 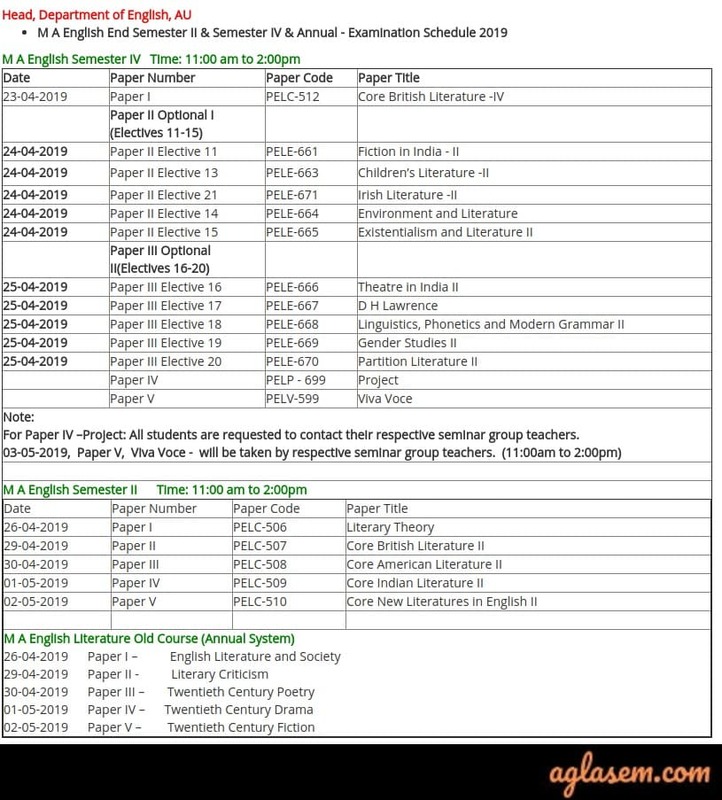 Schedule of the B.Sc. 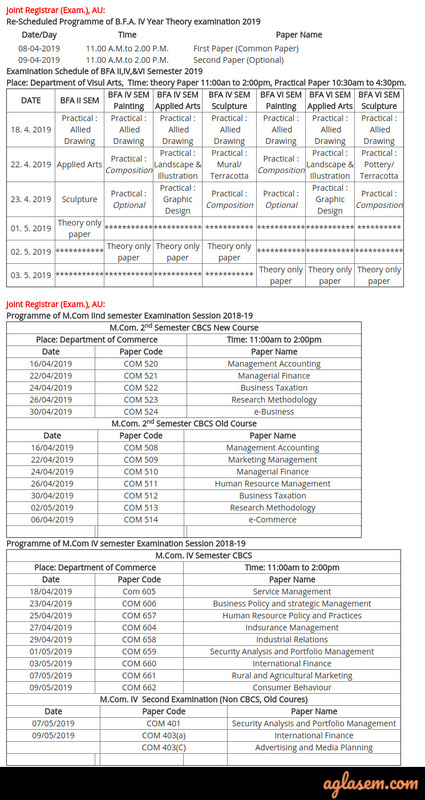 Part I, II & III, Defence & Strategic Studies Practical Examination 2018-19 at the University Centre. Schedule of the B.A. 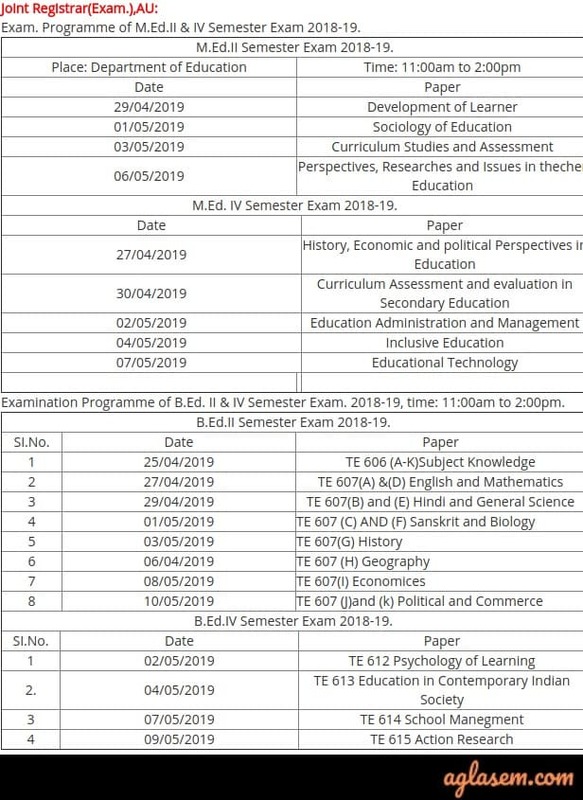 Part I, II & III, Defence & Strategic Studies Practical Examination 2018-19 at the University Centre. How to Check Allahabad University Time Table 2018? 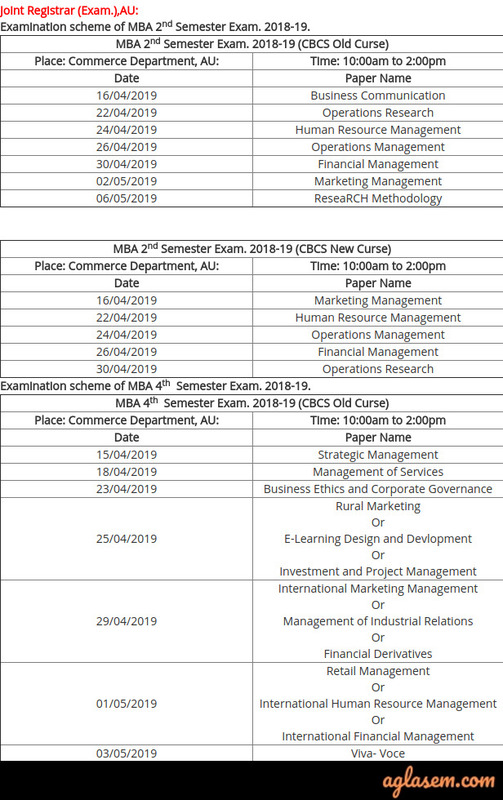 Check the table for the Allahabad University Exam Time Table. 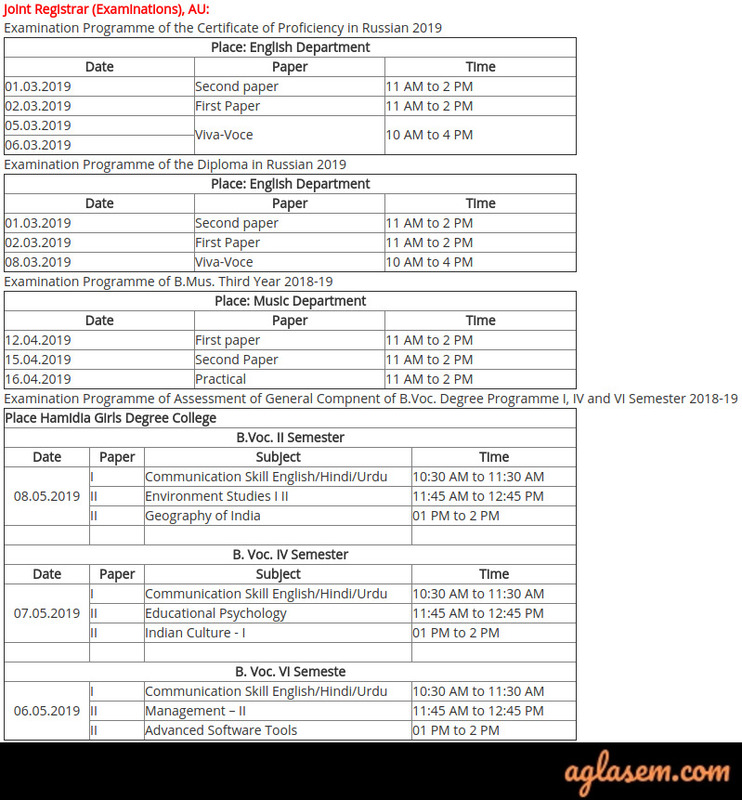 Allahabad University released the exam Time Table for every course on the official website. 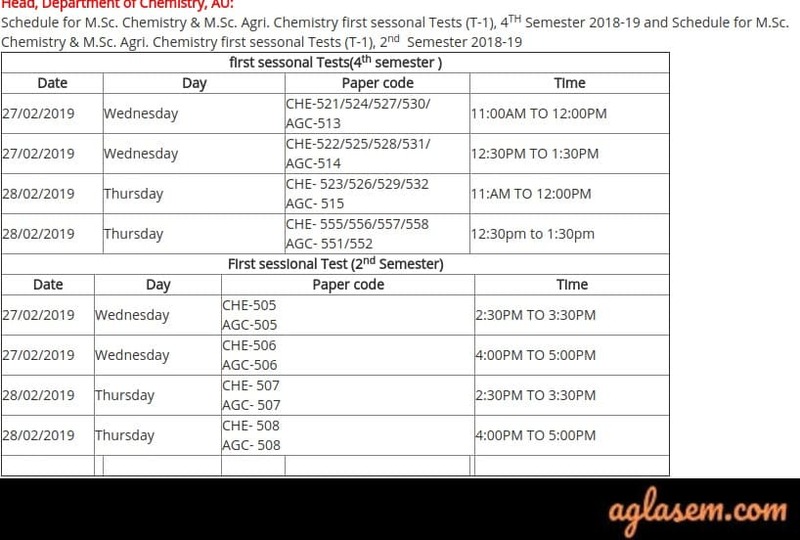 Follow the steps can check the exam Time Table for 2018. Home Page of Allahabad University will appear. 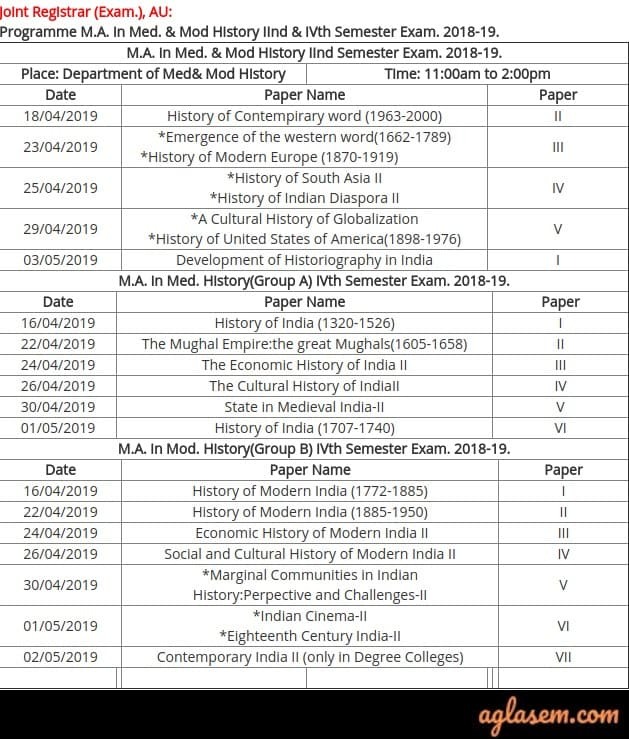 Check the details of the exam. 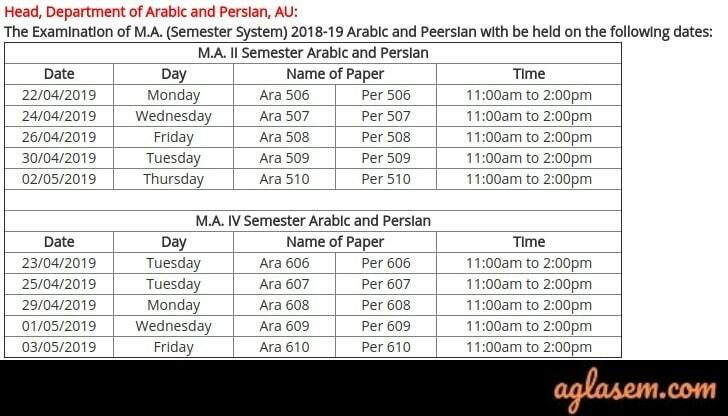 The Time Table is released so that students can be aware of the examination schedules. 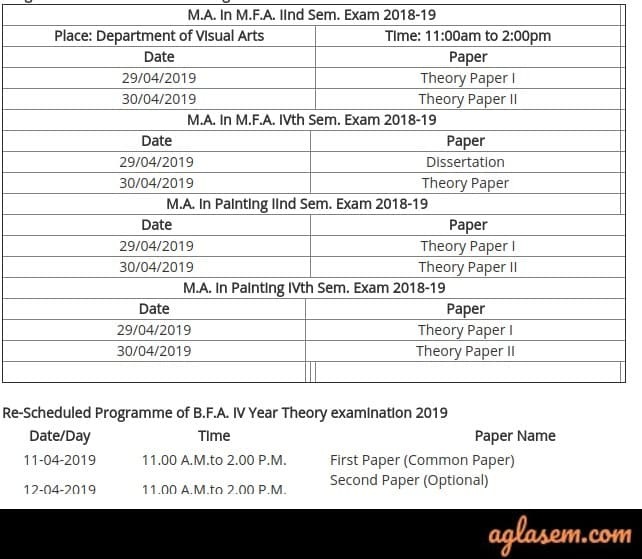 The Exam Time Table consists Exam date, time, and day. Students can add the Time Table to their study schedule and prepare for the examination. With the help of Time Table students can divide their schedule accordingly and organize their preparation. The Admit Card is the most important document that student should on the day of examination. 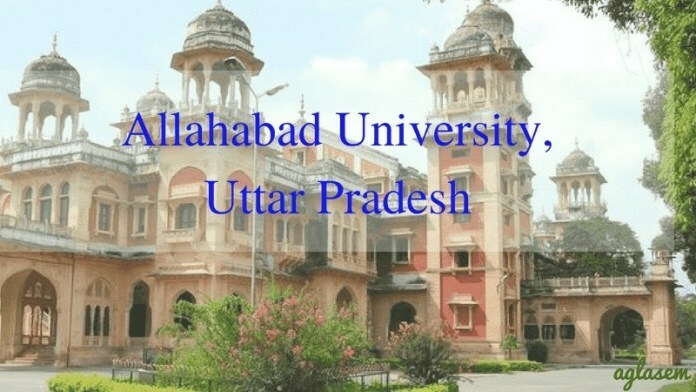 Allahabad University Admit Card is issued to those students who have submitted their exam fee within the prescribed time. The Admit Card is released on the official website of Allahabad University. To download the Admit Card students have to enter their Enrollment No. or Roll No. and select class. The Admit Card holds the information related to the student and the examination. The students appearing the exam should read the instructions mentioned on the Admit Card related to the Exam. Students without the Admit Card will not be allowed to appear in the exam. So make sure to carry your Admit Card on the day of the exam.